Rebecca, this card is so beautiful. 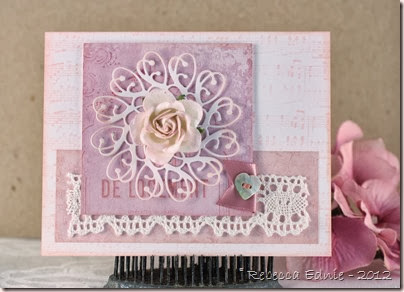 Love the lacy doily you used. I'll have to put that die on my wish list! Very sweet and feminine. Love your card!